These are true stories of real patients, families, and their air ambulance flights. 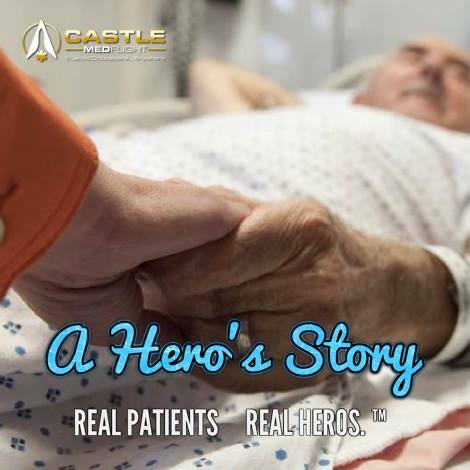 Learn how the veteran lead team at Castle MedFlight has changed the lives of these families. Thank you for your tireless work in trying to find a way to get my Dad back to Massachusetts. I spoke to him and the rest of the family last night and he is now at peace with where he is currently ready to move on to his next life in Hospice. I can only say that I wish we had found your services earlier and perhaps we would have been able to bring him back home before his illnesses advanced to this point. Regarding his story, I asked Dad last night about a how he would like to be remembered. He told me he would like to be remembered as a servant of God and country.